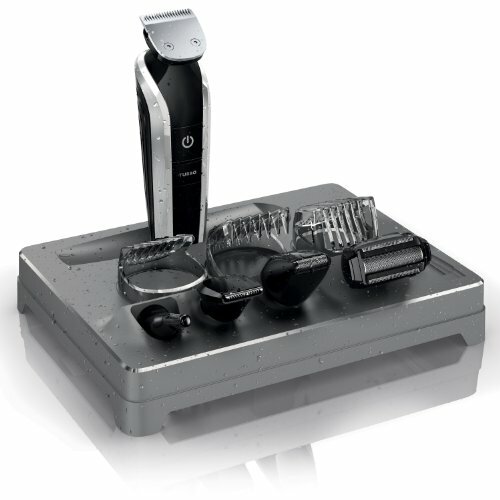 Pros: The Philips Norelco QG3380 will allow you to personalize your beard/goatee with the 8 attachments. 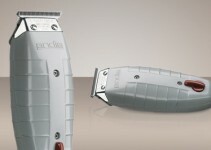 Beside the fact of versatility, this trimmer 100% maintenance free and water proof. 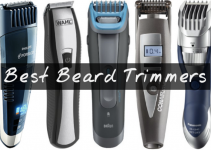 Cons: The trimmer could have been a great kit, but some poor design choices hamper its functionality. When it comes to men and their preference towards grooming kits, one sentiment stands above everything else: they want the kits to be as convenient as possible. 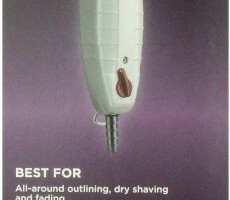 It seems Philips wants to be the company that satisfies that desire with their Norelco QG3380 All-in-one Head to Toe Grooming Kit. Unlike other kits out there, the QG3380 is touted as the one true solution and one of the best beard trimmers man needs. Does it live up to the hype? Let’s dive in and find out! Just in case one needs a bit of background information, Multitools these days are composed of a main shaving unit and various attachments including but not limited to: full-sized, smaller precision and nose/ear/eyebrow trimmers and a charging station. What terms companies use to refer to them vary depending on their marketing tactics but the end result is always the same. An excellent multitool allows one to trim or completely remove facial hair while doing away with the limitations of traditional razors. At its core, The Philips Norelco QG3380 is the premium version of that multitool. More specifically, it comes from Philips’ family of Norelco Grooming systems which have different models as well.The QG3380, being at the highest end of the lineup, takes this system to a whole new dimension. 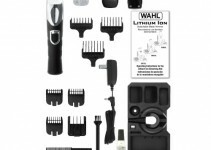 Aside from having a metal guard on their full-sized trimmers and a deluxe pouch for easy storage, the kit also comes with attachments that target body hair too, namely: the Bodygroom Foil Shaver and the Body Trimming Comb. All in all, you’ll have a total of 8 different attachments to work with at any given time. While it may appear daunting to first-time users, the truth is very far from it. The main unit has a groove at the back that allows for easy-switching of the head at any given time. All one has to do to switch from one attachment to another is to twist it in one direction to take it off, and another to put it back on. It’s that simple. 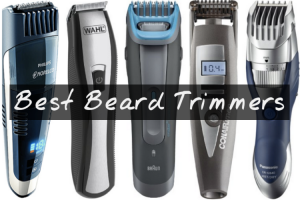 The Full-Size Metal Guard Trimmer is what you’ll start with for the most part though it takes care of your neck and sideburns pretty conveniently. The Turbo-boost button allows you to hasten the process by delivering more power, something which other trimmers don’t have.The steel blades are made of chromium, being highly-resistant to corrosion so they will last for a while. They are sharp enough to remove hair easily but precisely-engineered not to cause irritation of any kind. From there, you can easily switch to the noticeably smaller precision trimmer (21mm), the mini foil shaver, or the truly minute nose,ear & eyebrow trimmer depending on your requirement. Even down to the most demanding instrument, it’s good to know that none of these will pull your hair out. 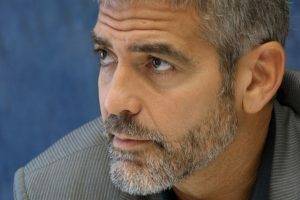 More often than not, the end result is a quick and clean shave. And for instances where more oomph is necessary, turbo-boost always does the trick. Each attachment also comes with adjustable sliders (in mm) for the comfort of its users. The Beard and Mustache Comb, for example, has 18 length settings that go from 1 to 18mm, while the Body Trimming Comb ranges from 3mm to 12mm. These settings allows one to fully tailor the device to achieve the style they so desire while minimizing the amount of switching required.Regardless of your fashion sense, whether you’re into soul patches, Fu Manchu’s or simply want a sleek finish for your beards without having to go through extraordinary lengths of time preparing them, the QG3380 will fulfill your need without any hitch. You would think, therefore, that if Philips invested a majority of their resources into creating this highly-efficient machine, they would also work on the packaging and presentation. In this case, however, it’s more of a hit and miss. The deluxe pouch, as appealing as it looks like, seems more of a necessity than a luxury item now since the storage case it comes with is clearly lacking in that regard. The latter is simply plastic and probably isn’t going to mix well with your bathroom’s interiors. The lack of any additional cables aside from the one that comes with the charging station essentially means that the multitool is completely cordless. While it emphasizes convenience above all, there are a few users who may find issues with it. From average, you get one minute of battery life per minute of charging. The overall life is reduced with turbo boost on, of course so it goes without saying that the QG3380 has to be on its docking station whenever it’s not being used. Thankfully, battery drain is very negligible, if nonexistent. Even if you left the device alone for a week or so, it’ll retain the charge long enough for you to be able to get a quick shave or two. Just don’t be surprised if the indicator warns you that it’s about to run out of juice. Still, the Philips Norelco QG3380 has left more men swooning than a typical teenage girl in a Justin Bieber concert. The fact that there are numerous raves out there from people who are extremely pleased with the kit does not even need to be said at this point. It’s definitely got some very vocal critics against it but for its price and the level of convenience and jam-packed features included, this multitool definitely exceeds our expectations.